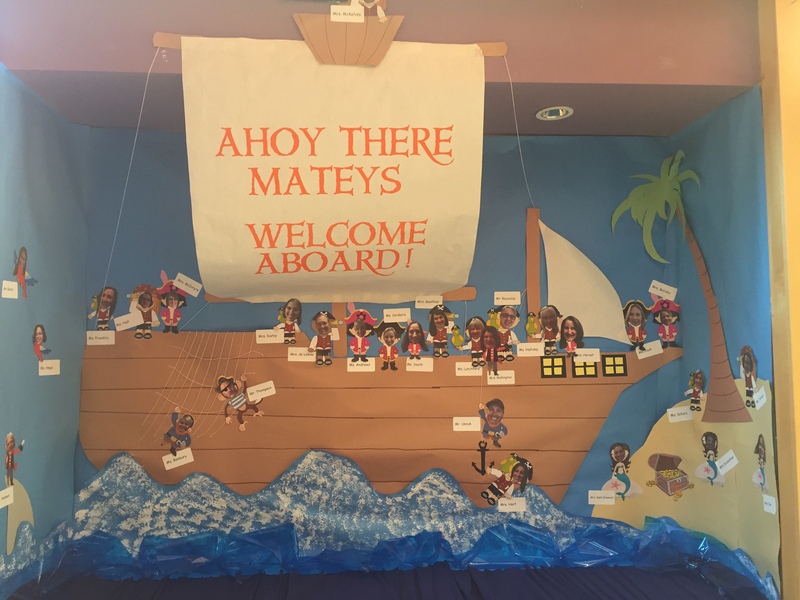 To welcome back students, the Pacific Heights staff became a pirate crew. Be sure to take a peek at the bulletin board in our lobby. Hello Pacific Heights Community! It has been a busy first week back at school. I have enjoyed seeing the excited faces coming back to school, the buzz back in the building. While much of the week was spent with students in their grade groups working with multiple teachers, by Friday afternoon students were settled in their new classes for the year. The time and thoughtfulness teachers, our LST team, school counsellor, and child care worker put into student classroom placements is extraordinary. I am confident that each one of our students are in an ideal learning environment based on their combined team effort. Each week, this blog will help to provide a window into the learning experiences and happenings going on at Pacific Heights. I hope you enjoy the experience. 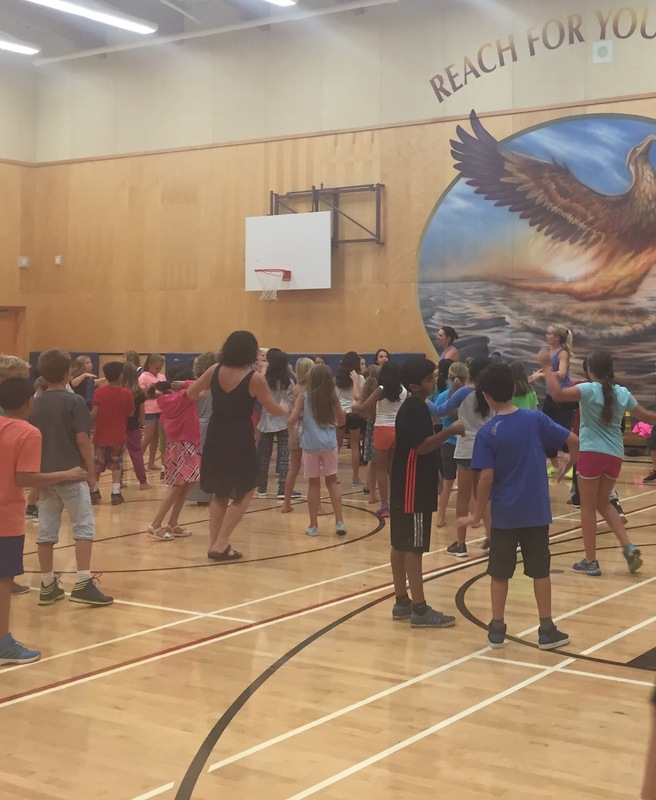 This week students had some fun fitness by participating in Zumba! Jessica, Taylor and Wyatt settled into their new grade 3 class. We are very excited to have a new piece of equipment to use to explore the undersea world. Coast Capital Insurance generously made a donation allowing us to purchase a touch tray. 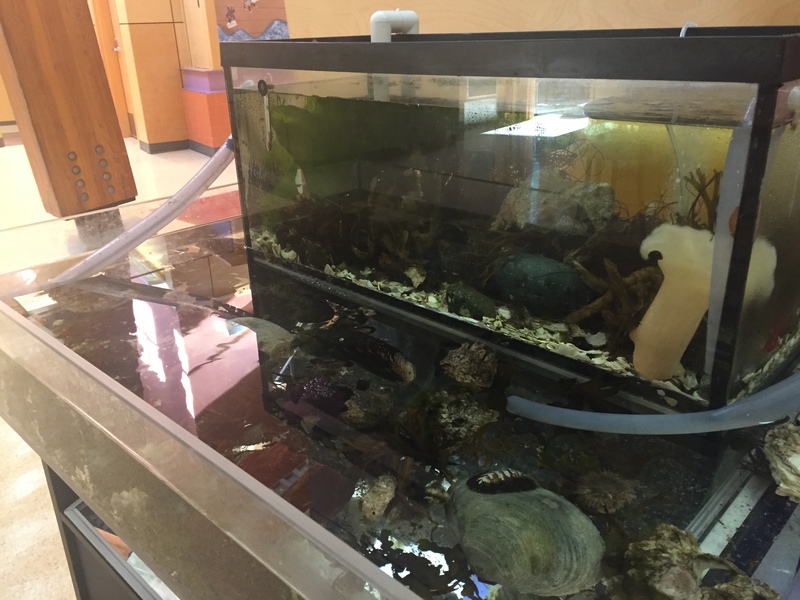 While we all very much enjoy the giant sea aquarium in our lobby, the mobile touch tray allows students to get up close and personal with ocean life in their classroom. Students can touch an anemone, tickle a barnacle, and carefully pat a sea urchin among many other creatures.